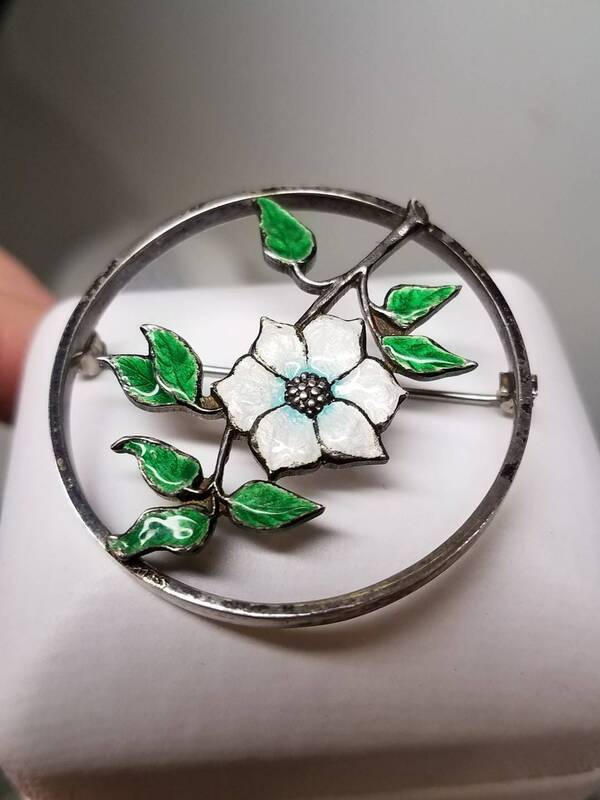 This Art Deco brooch is Sterling silver, with a central enamel flower and vine. 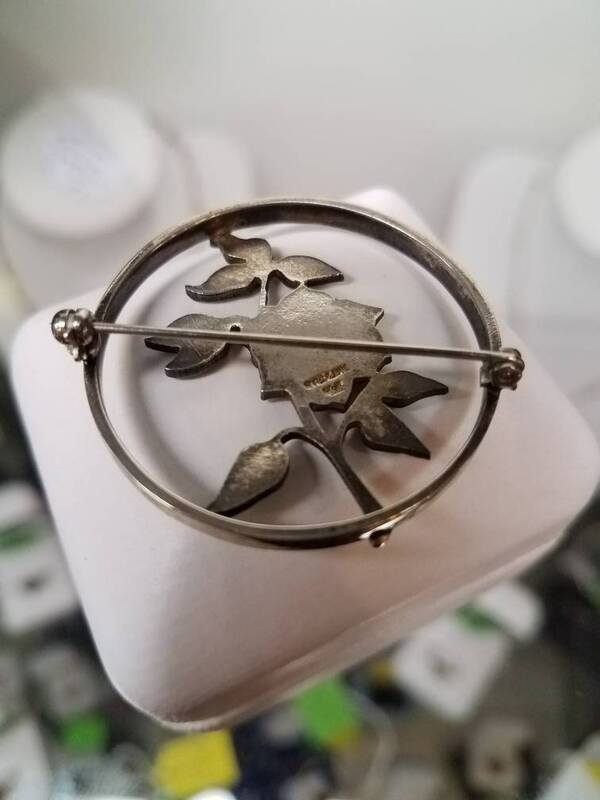 The clasp is a safety clasp and works perfectly. This piece measures 1.5 inches by 1.5 inches.